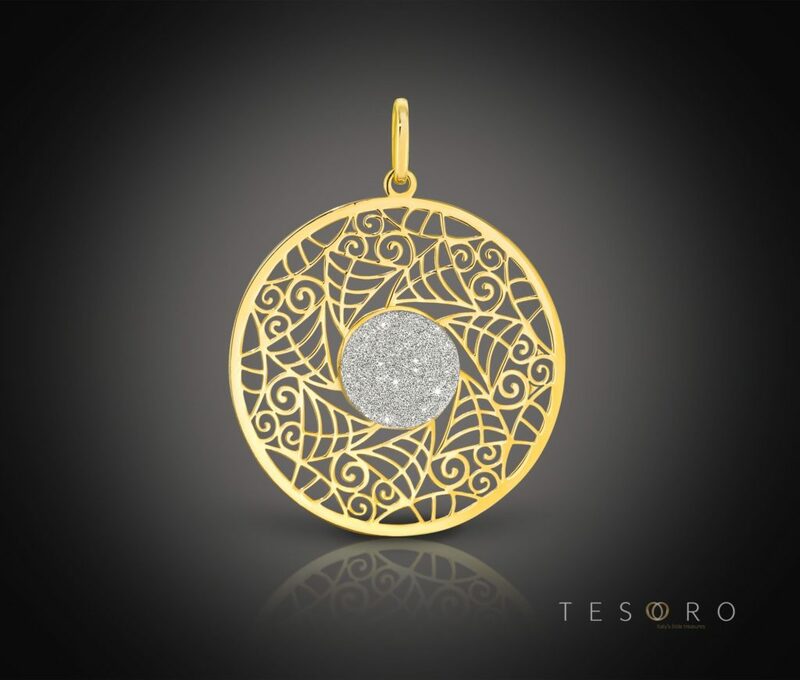 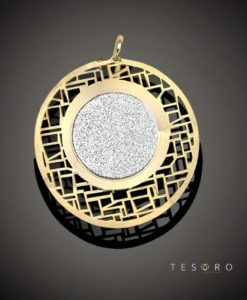 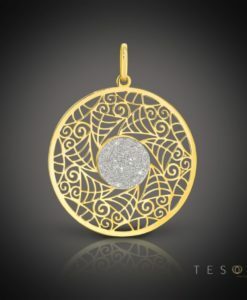 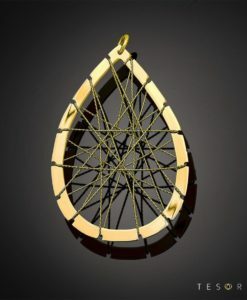 This beautiful sterling silver pendant is a new addition to Tesoro’s Florentine Bohemian Collection and will have you shining bright no matter what the occasion! 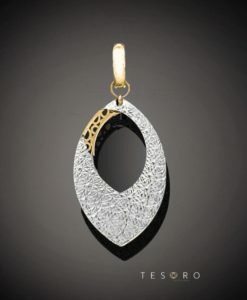 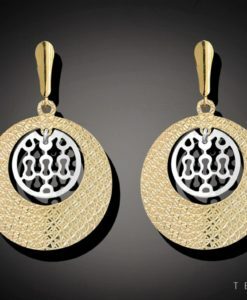 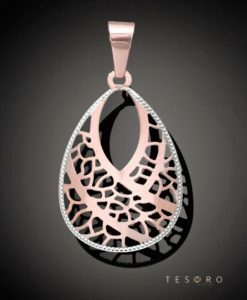 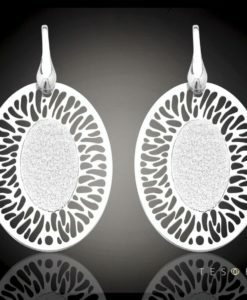 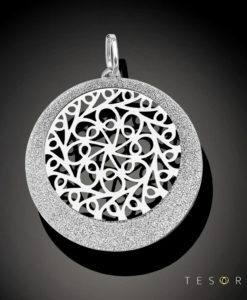 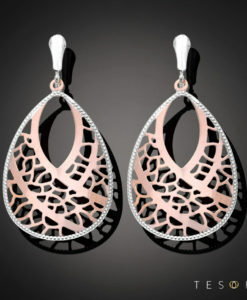 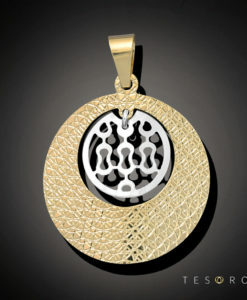 Raffa’s intricate bohemian inspired decorative pattern creates a feminine yet modern glam pendant that can be taken from day to night. 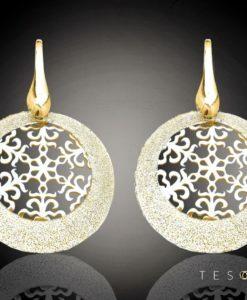 The addition of the glitter fabric gives this beauty some added sparkle. 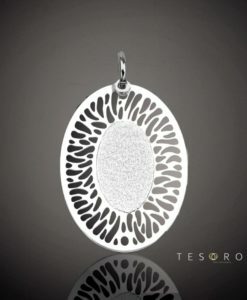 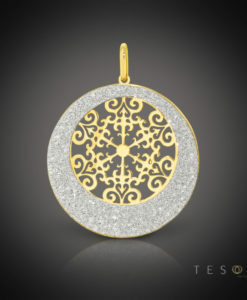 Tesoro Tip: Tesoro’s glitter fabric makes this pendant the perfect accompaniment to an elegant evening ensemble – and for a very reasonable price!